Update: Read Infinix Zero 5 full specs here. 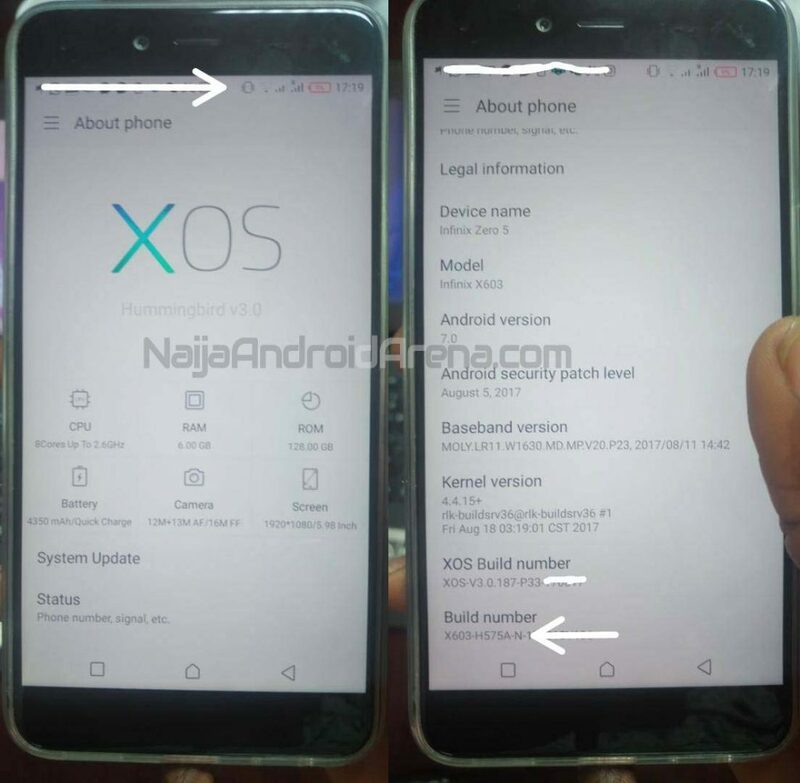 An exclusive leak that was gathered by Naija Android Arena confirms the look and specs of the up coming Infinix Zero 5. This confirms some of the speculations about the phone to be true, including the model number (Infinix X603), 6GB RAM, dual back camera and full HD 6-inch display (1920 x 1080). However, there are some interesting new stuff the device is coming with which no predicted. A very notable new feature is the XOS Hummingbird v3.0. This is the next generation of the Infinix custom user interface that will replace the XOS Chameleon. It is still not certain what the Hummingbird will bring to the table but given the impressive features of the XOS chameleon, we expect to see something interesting in the XOS Hummingbird. However, it seems the Hummingbird will still be based on Android 7.0 Nougat (as the leak shows that the Infinix Zero 5 is coming with Andorid 7.0), instead of the latest Android OS – the Android 8.0 Oreo. Note that at the moment, Android 8.0 is still new and you won’t see many devices coming with it out of the box, so we expect the Infinix Zero 5 to be upgraded to Android Oreo in the near future as Infinix devices support OTA update. Another interesting thing about the Zero 5 is the internal storage. The Zero 5 is coming with a massive 128GB ROM which is by far the highest we have seen on any Infinix phone. We are yet to confirm if the storage will be expandeable with micro SD card, but 128GB is huge to say the least. The Infinix Zero 5 is coming with 4350 mAh battery. This is bigger than what we saw in Infinix Zero 4 and Infinix Zero 4 Plus and the will support quick charging of course. The chipset of the device is yet to be confirmed but given the information at hand, we can predict that it is MediaTek Helio P25 which feature octa-core processor and clocks at the speed of 2.6GHz. The back camera will be 12MP + 13MP as opposed to the 13MP + 13MP that was initially speculated. The picture above also suggest 16MP front camera. Other features of the Infinix Zero 5 include rear mounted fingerprint scanner, narrow bezels and 4G LTE. No word from Infinix yet as regards to the official launch date and the price of the device. We will keep you posted as soon as we gather information on that so stay tuned. P.S. 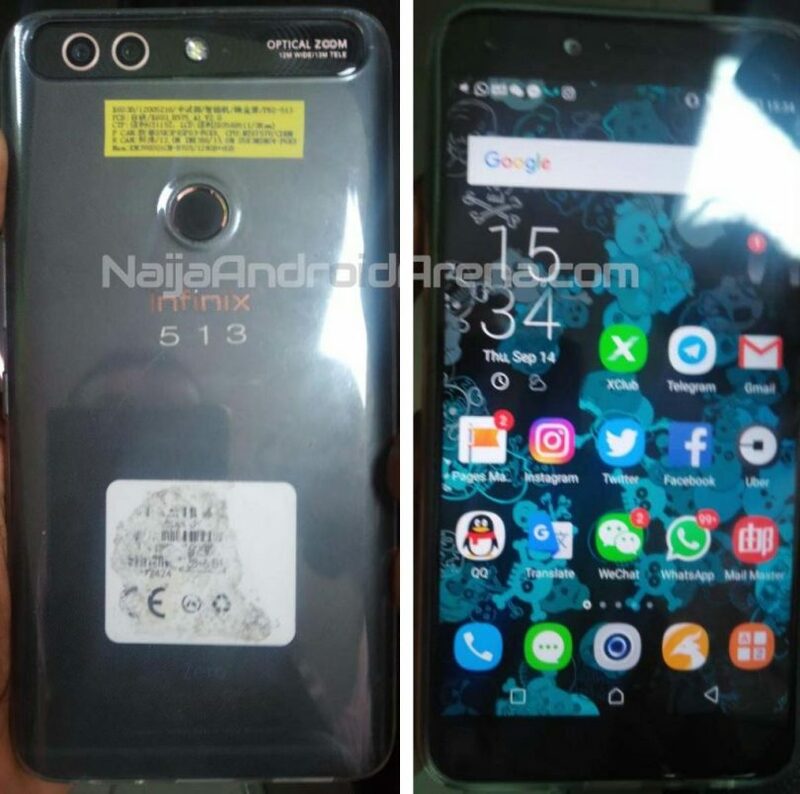 : Although we can say that this is most likely going to be the final specs of the Infinix Zero 5, it is worth mentioning that a lot can still change in a device before the final version hits the market. So keep that in mind. Mobile World Congress to hold on February 2016, Oukitel also invited for the congress. Oukitel K4000 Pro snap up deal with a big slash in the original price.